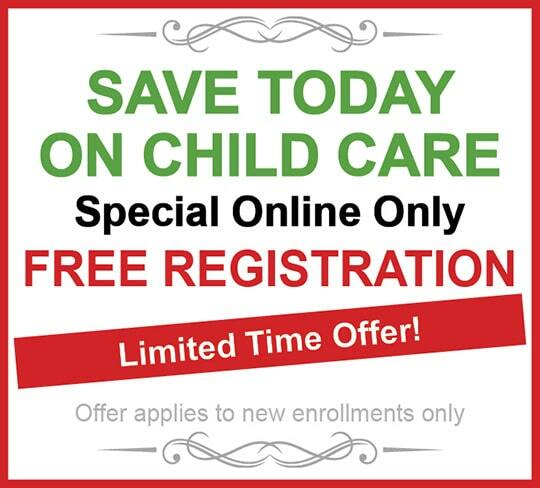 For Quality After School Care, Your Child Deserves The Best. $500 off Registration for the First Five Months! We provide your child with a safe, secure environment in NE Colorado Springs to spend their time after school until it is time to go home. We help your child with homework, if needed, and provide a creative, engaging after school learning environment supervised by trusted caregivers. You can be confident that you are leaving your child in a stable, comfortable, and nurturing atmosphere which encourages your child to develop confidence and independence. Trust our experienced NE Colorado Springs child care providers to tend to your child’s individual needs. ACT NOW! Accepting full-time enrollment at our center. Develop your child’s love for learning and the arts! Meet our staff of friendly child care professionals. Your Child has a safe, secure place to go every day after school with an established routine that engages them and fosters independence. Your Child is given a healthy, nutritious snack to wrap-up the day and give them physical and mental energy for the evening hours! Your Child ends their school day with free play, engaging activities, and social interactions setting the tone for a successful transition home! Your Child spends each day in a healthy environment which is clean, safe and secure. Your Child participates in fun cultural activities, fitness programs, music, and other imaginative play. Your child will be mentally and physically engaged in a positive way for the hours after school. Our NE Colorado Springs caregivers help your child transition from school to home with engaging activities which prepare them for the day ahead. Your child will have ample opportunity to grow and thrive. The childhood education is so valuable, I cannot express in words. My daughter is learning through play, activities, and by example. Every day I can see new progress. I appreciate being able to trust the women who care for my precious little one. The interaction between staff and children, It’s wonderful. Her needs are met promptly and she’s given love and attention. I feel my child is safe and well taken care of which makes my day easier where I’m not worrying about him. Having a routine and that I get a sheet daily letting me know what my child did. He also enjoys playing with the other kids.